Located Near I-25 and S. Colorado Blvd. Your child needs surgery. The thoughts that roll through the mind when you hear these words are enough to raise anyone’s blood pressure. Especially when it involves something as major as a surgical procedure on the spine of your precious little one. The idea of surgery even for yourself as an adult is just plain scary, isn’t it? Before you run off and put yourself or your child under the knife for scoliosis treatment, there’s some information we want you to consider. First, you’re not alone. At least take a little comfort in that. Scoliosis is a common problem. In fact it’s common enough that at least 7 million people in the U.S. are affected by this complex condition. When we talk about scoliosis, we are referring to a spinal condition where the spine is actually curved either in an “S” shape or a backwards “C” shape. Really, it can occur anywhere on the spine but it doesn’t just affect the spine, and that’s a problem. 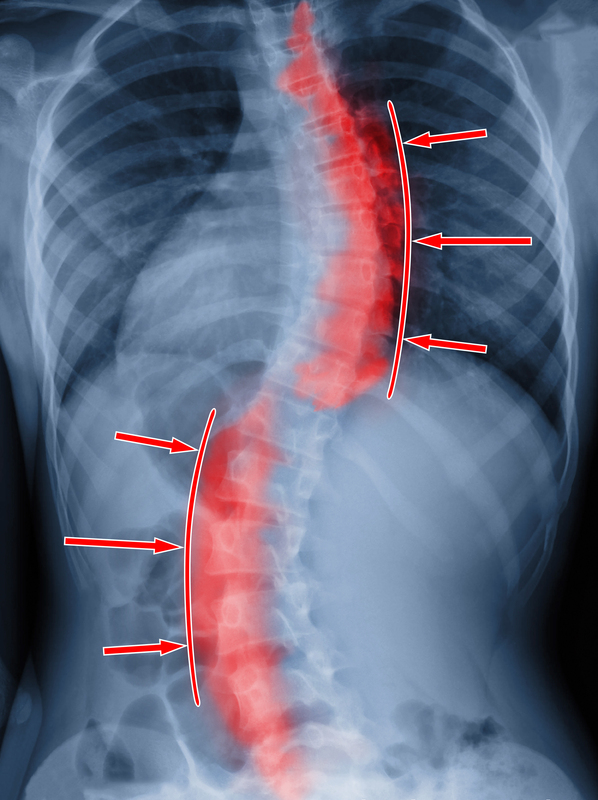 It’s intense enough that if the curvature of the spine is left alone and becomes too severe, then the only scoliosis treatment many are left with is an expensive surgery. No thanks! These affects don’t have to be your life, and we know that no one scoliosis treatment is created equal. 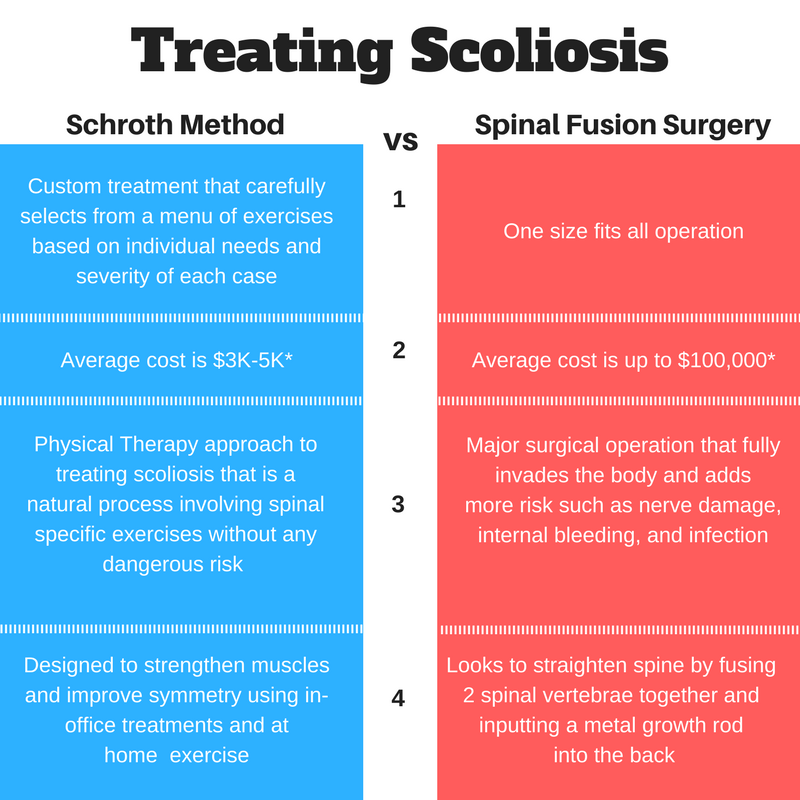 That’s why we want to break down the difference between what we do in our schroth method vs. what a spinal fusion surgical operation would look like in treating scoliosis. When we treat this debilitating condition, it’s necessary to customize the treatment based upon the specific needs of each individual. That’s exactly what we do. At Denver Physical Medicine & Rehab, our team of chiropractors, schroth method physical therapists and medical professionals specialize in the Schroth Method for scoliosis. Our dynamic approach focuses on restoration and making you aware of your posture throughout the day. Don’t wait another second for this to worsen. Take back your life and allow us to develop a fully customized scoliosis treatment plan for you or your loved one. Call our team a Denver Physical Medicine & Rehab today and let’s schedule your free initial consultation!